What is the fastest way to visually communicate a new design? Searching for similar-looking clothes? Drawing a sketch? Or creating a 3D representation on a computer program? Although all of them are viable solutions, they are quite time consuming. At Zalando, we target an agile design process that combines invaluable human experience with the power of Machine Learning (ML). 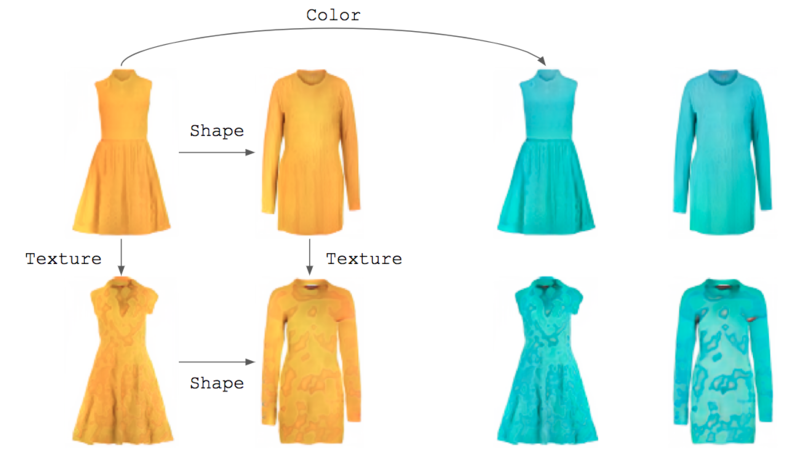 In particular, we do research on novel ways to use generative models in fashion design for rapid visualizations and prototyping. One such ML model is the Generative Adversarial Network (GAN). GAN is a deep learning architecture that learns the real data distribution in an adversarial setting. In our case, the real data correspond to the images of the articles in Zalando’s inventory. A GAN, which is trained on these images, can generate realistic-looking garment designs.